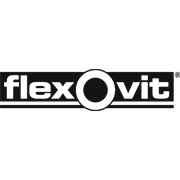 Flexovit Painted Surface Orbital Sanding Sheets are ideal for machine sanding of painted surfaces and laquered wooden surfaces. The No Clog treatment reduces clogging when sanding between coats of paint, primer and laquer. 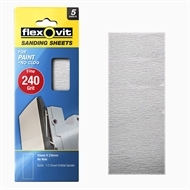 These sheets can be used with any 1/3 sheet machine with clip retention. 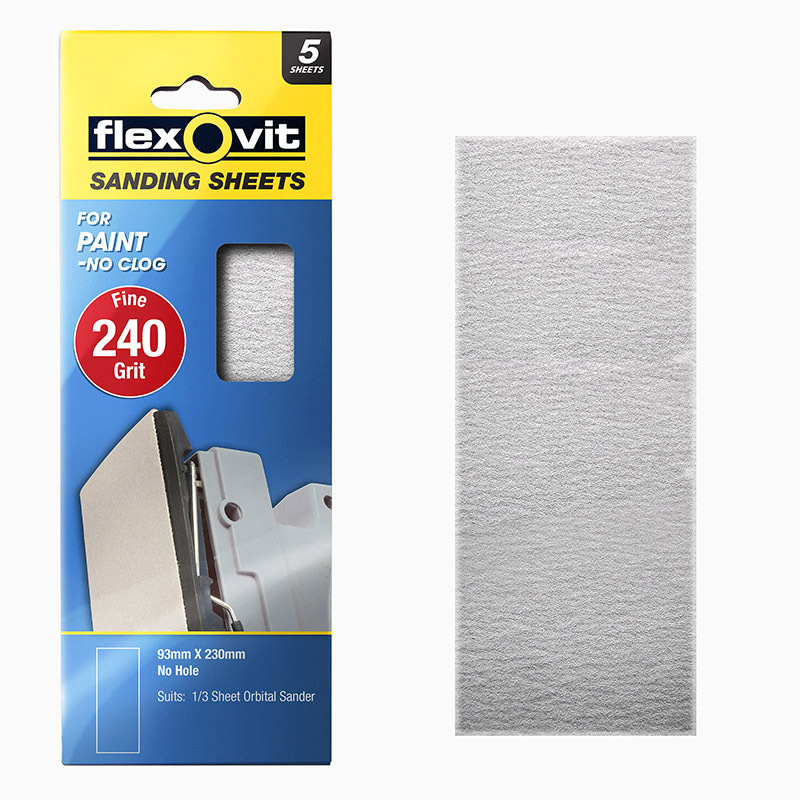 Use 240 Grit to remove light scratches, sanding marks and preparing surfaces for painting.